Valparaiso University retains all copyrights in any text, graphic images, and software owned by Valparaiso University and hereby authorizes you to electronically copy documents published herein solely for the purpose of transmitting or viewing the information. You may not mirror, modify or otherwise alter any files in this website, publish, rebroadcast or otherwise redistribute the information contained therein, without written permission from Valparaiso University. Except as expressly provided above, nothing contained herein shall be construed as conferring any license or right under any Valparaiso University copyright, patent or trademark. Valparaiso University, its seal, logo, and the Crusader Mascot are registered trademarks of Valparaiso University. 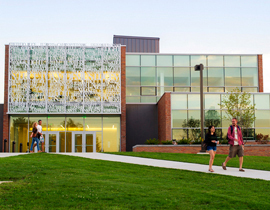 Valparaiso University’s Web site is compliant with the Digital Millennium Copyright Act. Reports of violations, including claims of copyright infringement and defamation, should be addressed to the Agent Designated to Receive Notification of Claimed Infringement at University.Relations@valpo.edu. Valparaiso University admits students of any race, color, national and ethnic origin, age, gender, disability, sexual orientation or (as qualified herein) religion, to all the rights, privileges, programs, and activities, generally accorded or made available to students at the school. It does not discriminate on the basis of race, color, national and ethnic origin, age, gender, disability, sexual orientation or (as qualified herein) religion in administration of its educational policies, admissions policies, scholarship and loan programs, career services and placement, and athletic and other school-administered programs. 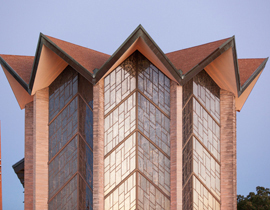 Valparaiso University is an institution committed to its Lutheran traditions. The University reserves the right to promote the teachings of the church and to exercise preferences in admissions in favor of Lutherans. Valparaiso University maintains a policy of equal employment opportunity for all employees and applicants for employment. The University does not discriminate on the basis of race, color, national and ethnic origin, age, gender, disability, sexual orientation or (as qualified herein) religion or any protected classification under federal, state or local law. This policy applies to all aspects of employment including, but not limited to, recruiting, hiring, training, transfer, promotion, job benefits, pay, dismissal, social and recreational activities. An institution committed to its Lutheran traditions, the University reserves the right to promote the teachings of the church and to exercise preferences in employment-related practices in favor of Lutherans. 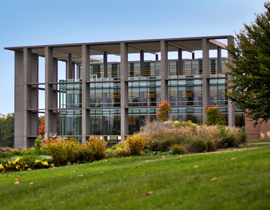 The information in this publication, including text, images, and links, are provided “as is” by Valparaiso University solely as a convenience to its constituents, community and affiliations without warranty of any kind, either express or implied, including, but not limited to, fitness for a particular purpose. 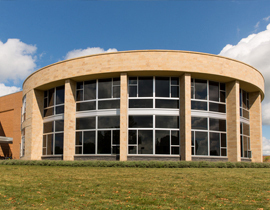 Valparaiso University assumes no responsibility for errors or omissions in this publication or other documents which are referenced by or linked to this publication, including technical or other inaccuracies. Changes are periodically made to the information, and Valparaiso University may change the contents within this publication at any time. Contact the Office of University Relations at Valparaiso University for further information before relying on any information contained herein. Any information collected from visitors to our website, including demographics, Internet Protocol addresses, Domain Name Server information, and e-mail addresses, will be used solely for internal informational purposes by Valparaiso University and will not be given, sold, or otherwise redistributed to any unauthorized third party. Questions or comments about our Copyright Information and Legal Disclaimer can be directed to University.Relations@valpo.edu.